Way back when, I worked for an educational tour company—sending groups of American students and teachers on European adventures with the goal of creating a "living" classroom. To keep us up-to-date, the documentary series, "Rick Steves' Europe," was required watching for staff (we had a library of VHS tapes to choose from). 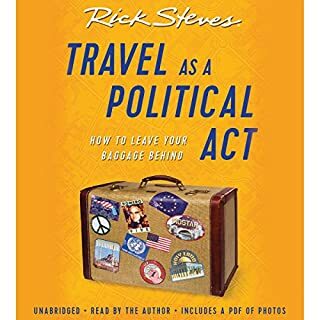 Many years later, Rick Steves is still making documentaries and writing books, but now there’s also a nifty audiobook app that allows me to listen to the 3rd edition (updated for 2018) of this industry classic in Rick's distinct voice. It’s a welcome reminder of how simply leaving the U. S. and experiencing the world beyond my bubble—meeting actual people, in real life—is a kind of political act. At the very least, it’s a great first step. Why would you name a house Sea Section? Because it's one of my favorite places in the world, I could not resist the Galway locale of The Ruin, even if it might reveal a disturbing side of life in this otherwise idyllic Irish city. Not unexpectedly, the setting does add a distinct air of Irish melancholy that permeates the story, but dare I say it's in a "good" way? In the end, the unnerving themes explored in this cleverly composed police procedural speak mostly to the universal demons that haunt so many people—just in an Irish accent. 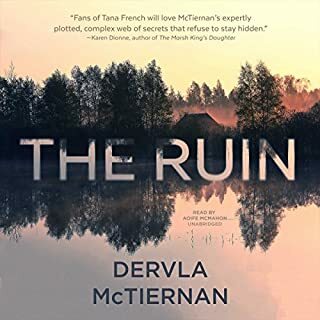 Debut author Deverla McTiernan makes full use of her Irish upbringing, legal training, and calculating mind to create the perfect tale for those who like their mysteries on the darker side. Brace yourself, but don't let it keep you from visiting Galway! This is Richard Ford's fourth book featuring Frank Bascombe, who was first introduced in his Pulitzer-Prize winning novel, The Sportswriter. The novel is set in NJ during the days before Christmas 2012, after Hurricane Sandy and the re-election of Barack Obama. Frank is older now, slowing down and paring back. He is a man of a certain age and in this series of four novellas – each featuring someone from his past who shows up out of the blue – his thoughts turn to family, friendship, love, and politics. 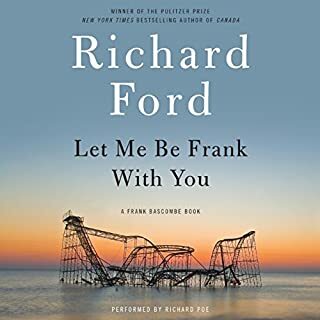 Frank's distinct voice shines through Ford's precise language, and despite his not-so-delicate outer disposition, we get an inside view of the mind of a man whose experience and wisdom speak to carrying on in the face of disaster, and to simply carrying on. Before To Kill a Mockingbird came into our store last summer, it was the most highly requested book here at Audible. 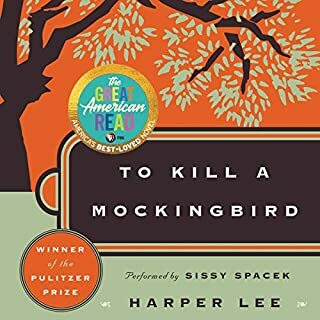 An American classic renowned for how it delves into issues of racial inequality and the loss of innocence, Mockingbird remains uniquely relevant today. Its characters are familiar to many of us who read the book in school or watched the 1962 film starring Gregory Peck as the iconic Atticus Finch. But it’s young Scout, Atticus’ daughter, who stole my heart and is arguably one of the most endearing narrators in literature. Sissy Spacek takes on this voice brilliantly. She brings an authentic Southern twang with an edge: sharp and clear – sweet and steady. She becomes the Scout we all know and love and makes listening to what is one of the most popular books out there a completely new experience. And with Harper Lee's newly discovered novel, Go Set a Watchman, due out in July 2015, it's the perfect time to become reacquainted with these beloved characters. In a world where global power has shifted east and revolution is brewing, two women embark on vastly different journeys - each harrowing and urgent and wholly unexpected. When Meena finds snakebites on her chest, her worst fears are realized: someone is after her and she must flee India. As she plots her exit, she learns of The Trail, an energy-harvesting bridge spanning the Arabian Sea that has become a refuge for itinerant vagabonds and loners on the run. This is her salvation. The Girl in the Road is unlike anything I have read or listened to in recent memory. This is not an easy-breeze beach book—it’s a novel that takes work but the pay-off is well worth the effort. 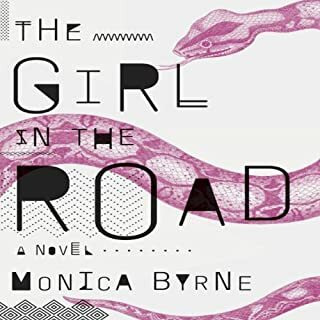 The beginning is disorienting but beautiful, so I pushed through soaking in the lush language and becoming acquainted with the foreign and futuristic world author Monica Byrne has created. There are two storylines—Meena’s takes place in an India of the future with her journey taking her to Ethiopia, and Mariama’s quest brings her across Saharan Africa at a completely different historical time. Byrne has conjured up a thoroughly unique blend literary fiction and science fiction with gadgets and scientific achievements not yet discovered but oddly imaginable. The Girl in the Road explores, illuminates, and challenges our understanding of culture, sexuality, spirituality, and the environment. It's not at all preachy, but it’s also completely unapologetic. While this book won’t appeal to everyone, is undoubtedly an impressive debut from an author I can’t wait to hear more from. While not my go-to genre, every now and then I like to sit back and take in a good mystery/thriller. So, when I saw that Harlan Coben was coming out with a new stand-alone novel, I felt it was the perfect time to try something new from an author I knew well by reputation (through countless rave reviews from Audible members) but never read or listened to personally. Missing You was exactly what I was hoping for: a cleverly conceived, suspenseful thrill-ride with cops and bad guys. There's a taken-from-the-headlines sense to the story where 40-year-old NYPD detective, Kat Donovan, discovers an old love and stumbles upon a possible gateway into a mysterious crime world through an online dating site. If you are looking for some smart entertainment and the kind of book you just can't put down, I can highly recommend Missing You. 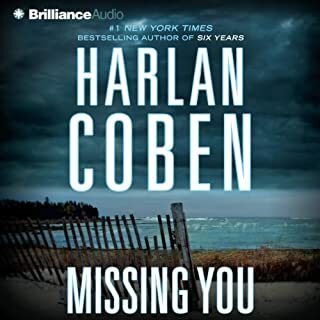 For anyone who is already a Coben fan, Missing You offers something new in a strong female protagonist, and a strong female narrator in January LaVoy to boot! 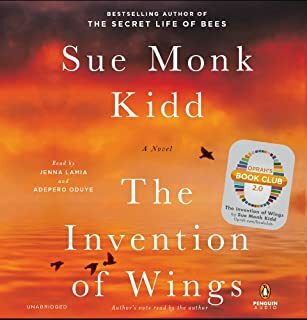 The Invention of Wings is a powerful, sweeping novel set in the American Deep South during the nineteenth century inspired by real events. It evokes a world of shocking contrasts, of beauty and ugliness, of righteous people living daily with cruelty they fail to recognize; and celebrates the power of friendship and sisterhood against all the odds. Sarah Grimke is the middle daughter - the one her mother calls difficult and her father calls remarkable. On Sarah's eleventh birthday, Hetty 'Handful' Grimke is taken from the slave quarters she shares with her mother, wrapped in lavender ribbons, and presented as a gift. Sarah knows what she does next will unleash a world of trouble…putting into motion the kind of change that never comes easy. I was hesitant to keep this book as my personal pick for January after I heard it became the next selection for Oprah’s Bookclub 2.0. After all, what more could a book ask for? But as I dug deeper and read more and more of this novel I could not let it go. 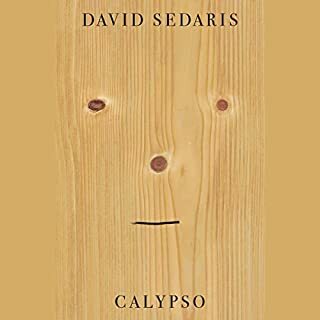 It is truly one of those rare books that, in my opinion, hit all the marks of great writing: Lush language full of imagery set within as story profoundly grounded in the real world where the characters become a part of you. 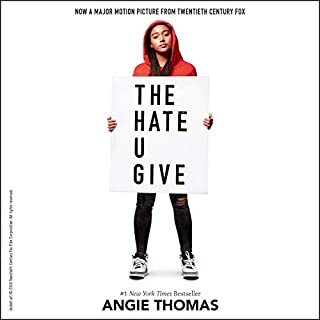 I look forward to re-living the book in audio with the perfectly casted narrators Jenna Lamia (The Secret Lives of Bees, The Help) and actress Adepero Oduye (12 Years a Slave) taking on the roles of Sarah and Hetty. Mary Roach is willing to "go there" in the name of Science. 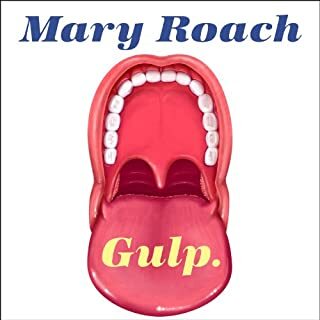 She has tackled sexual physiology in Bonk, the life of cadavers in Stiff, and now takes on the (not-so-hot) topic of the digestive system in Gulp. This journey begins at the top and ends at the bottom of the legendary alimentary canal, but Roach does not take us there in a straight line. There are side excursions to visit experts in the field of morning breathe and pet-food engineers. We explore the power of salvia and the origin of mythical fire-breathing serpents. By asking seemingly ridiculous questions like, "Does noxious flatus do more than clear a room?" Roach manages to dismiss those common misconceptions we all seem to have but never question out loud. In Gulp she serves-up Science just the way I like it: Well-researched, relevant, offbeat, and hilarious.